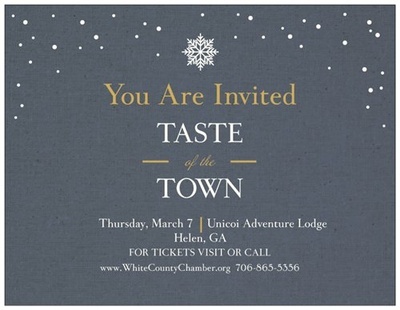 Masters Hall at Unicoi Lodge & State Park will be a spectacular night of food, drink, and dancing on Thursday, March 7, 2019. Fall into an evening of tempting food and great beverages with local food presenters as you sample each morsel and drink. Live music and a fabulous raffle add to the fun, all the while supporting the mission of the White County Chamber of Commerce. Tickets $60 each or $500 for a table of 10.